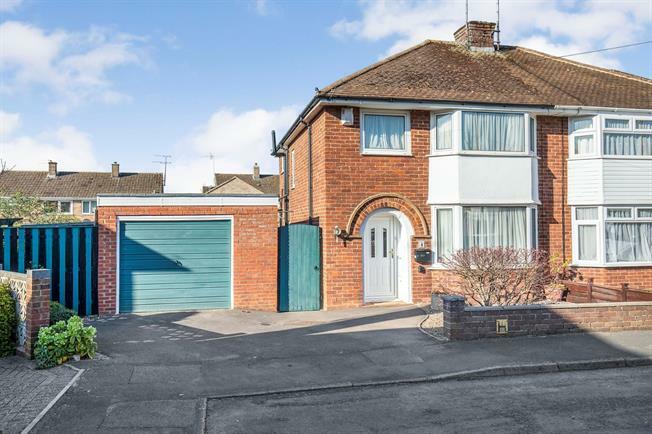 3 Bedroom Semi Detached House For Sale in Cheltenham for Guide Price £315,000. An exciting prospect, this property offers a multitude of different possibilities so is sure to be popular. It consists of an entrance hallway, lounge/dining room, kitchen, utility area, WC and sun room opening onto a patio. Upstairs boasts two generous double bedrooms, a single bedroom and shower room. The property also benefits from having double glazing, GCH, garage, off road parking and a beautiful, child-friendly garden.